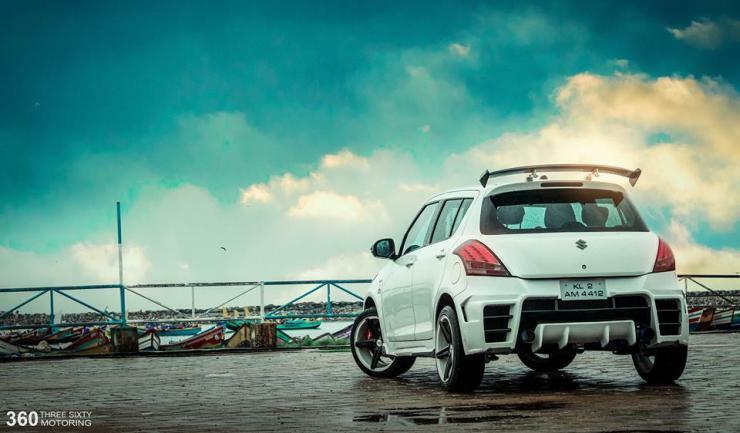 Maruti sells truckloads of the Swift everyday, and so many cars on Indian roads means that there are plenty of modified examples being driven around the country. Tastefully done up ones are few and far in between though. Here’s one such example from God’s own country that looks aggressive even while standing still. 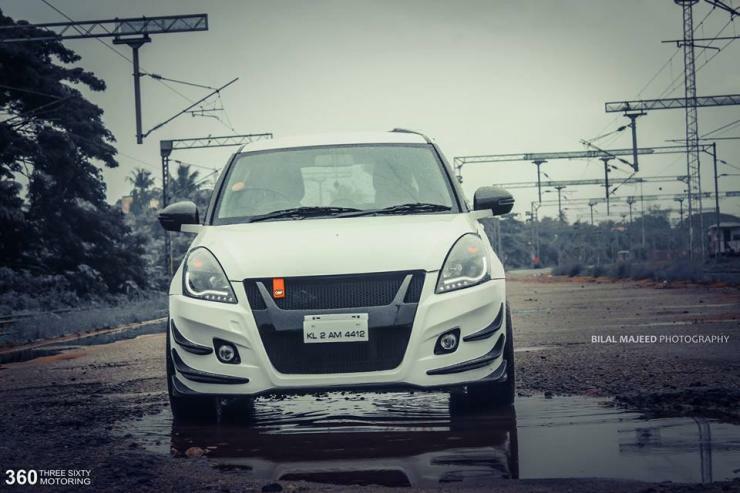 The Swift in the picture is wearing an NKS body kit, which is responsible for giving it that mean and menacing look. 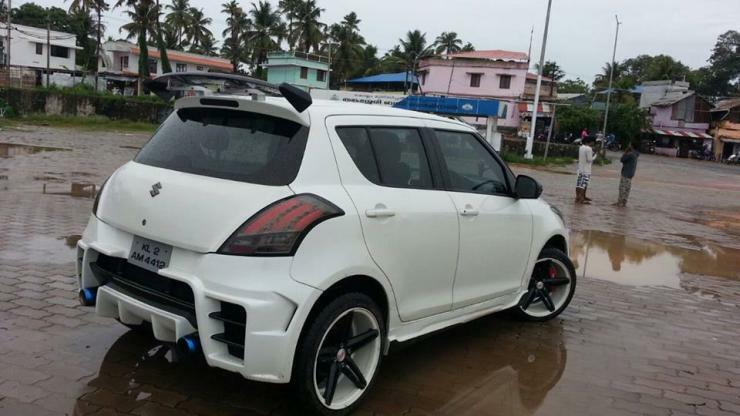 Apparently, the NKS body kit is the first of its kind in India. We’re sure that a lot of Swift owners will begin considering this kit after checking out what it’s done to the example we’re showcasing. 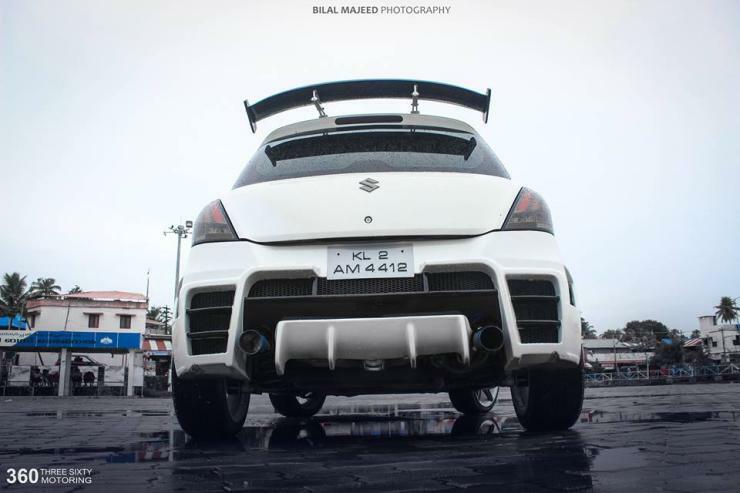 The body kit consists of a new front bumper with winglets. The grille is a new mesh-based item. 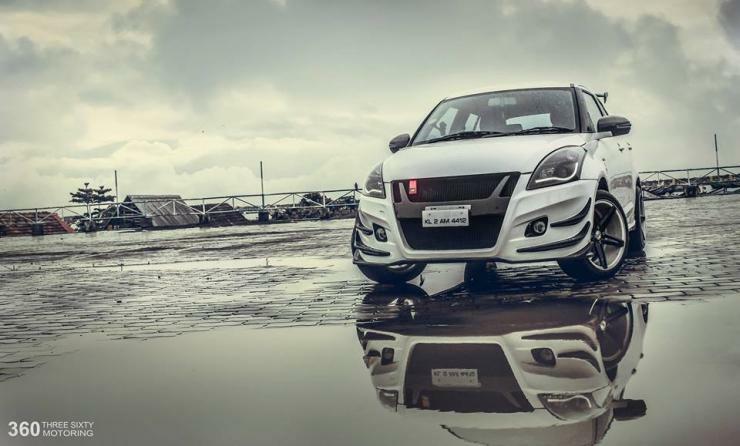 Other changes on this Swift include daytime running LEDs integrated into the after market headlamps, wing mirrors with carbon fiber finish, 17 inch alloy wheels, a hatch lid spoiler, blacked out tail lamps and a new rear bumper with splitter. 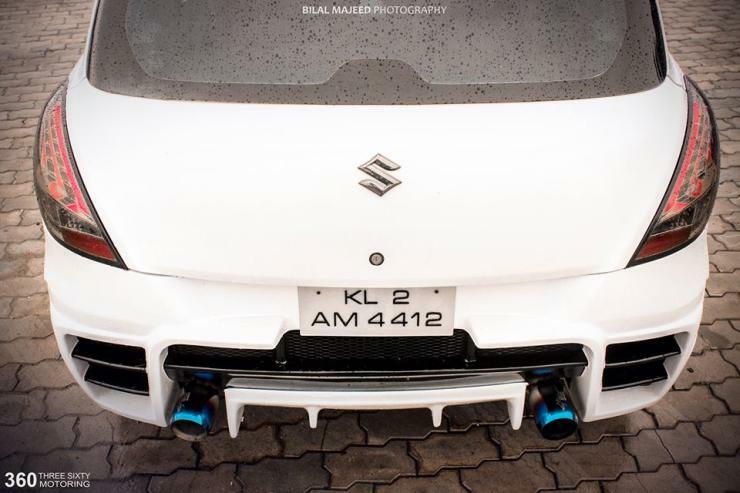 Twin exhaust mufflers round off the modification while side skirts add muscle to the flanks. The car rides on 225/45/17 tyres, which means that’s massively overtyred for the performance that the stock petrol/diesel engines put out. And this is also why a bump up in power is something this mod job needs. 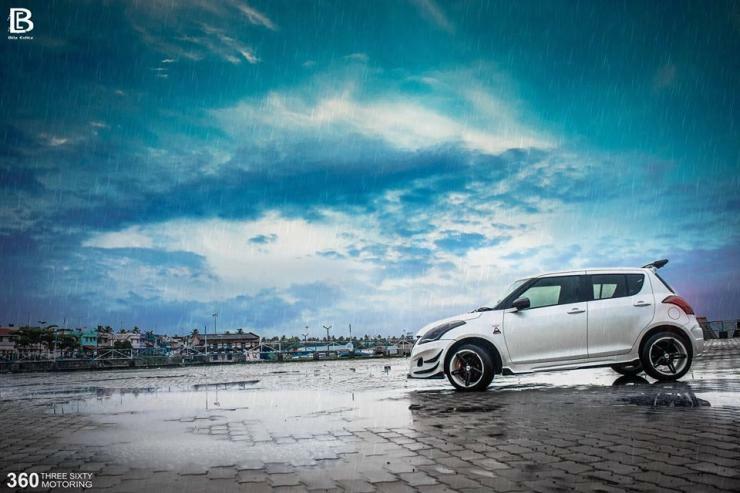 If you do have a petrol powered Swift, a turbo job can really give a big boost in performance. For those with diesels, a remap or tuning box will make the car much more fun to drive on a daily basis. With all these changes, you may have to forget your car’s factory warranty.